And that is totally fine, because I’m here to tell you. 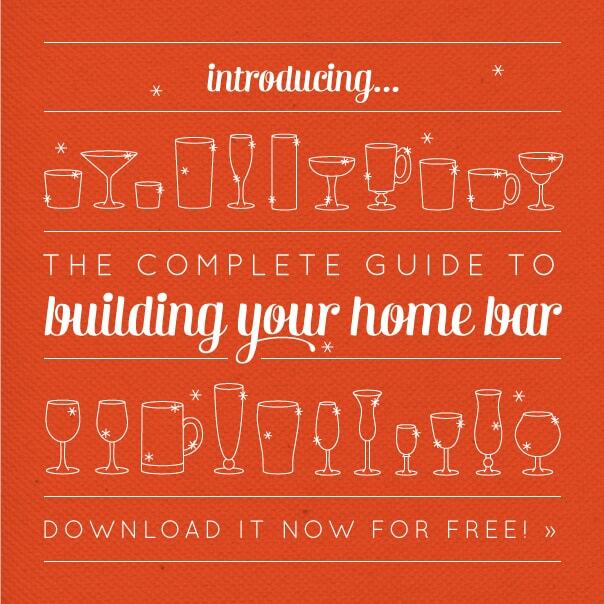 Over the last couple months, I’ve been working on The Complete Guide to Building Your Home Bar, a FREE 24-page, illustrated booklet filled with secrets I learned in bartending school. Everything you need to know to keep your bar well-stocked, from the right tools and glassware to basic liquors and ice. You’ll also get 10 easy cocktail recipes, a measurement cheat sheet and blank recipe cards. Read it on your computer, smartphone or tablet, or print it and assemble it into a 24-page mini-booklet for your home bar. SIGN UP NOW TO GET YOUR FREE DOWNLOAD! LOVE this! What a great guide! Meghan, thanks so much! Let’s compare mixology notes sometime. Thank you so much, Hanna! I’m so glad you enjoyed it and it means so much that you’re sharing it! Your blog is super beautiful, by the way! Hey Susannah! I found my way over from Regina’s blog post today (she mentioned your home bar guide). It’s AMAZING!! I’m moving soon and while I have a console table I use for a bar, I don’t do anything with it. I’ll definitely be putting this guide to good use. Thank you for creating it! I’ve long suspected that you are one of my favorite people on the Internet. But this guide? This gets you your handprint in the cement, my friend. Or is it a star that they do in Hollywood? Okay, a star makes more sense. This guide earns you your star in cement, my friend. I love it! Thank you so much for taking the time to put it together. It’s truly beautiful Susannah. I think it’s a handprint in a star? Haha. But thank you! Your words are so kind. But I couldn’t have done it without your help and support. Thanks for your comment, Regina.